Former NFL wide receiver, Tim Brown was born on July 22, 1966. 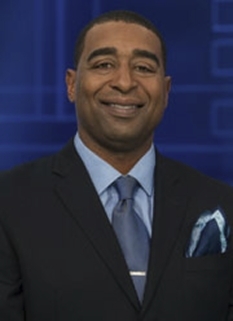 Brown played college football for Notre Dame, where he won the Heisman Trophy. He then went on to play sixteen years with the Raiders. His fame and success with the Raider's earned him the title, Mr. Raider. 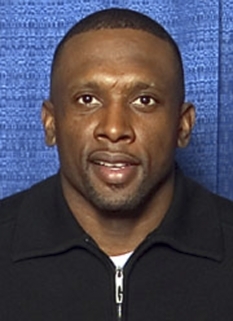 Tim Brown was selected by the Los Angeles Raiders with the 6th pick of the 1988 NFL Draft. In his first NFL season, he led the league in kickoff returns, return yards, and yards per return average. He also led the NFL in punt returns in 1994, and receptions in 1997. 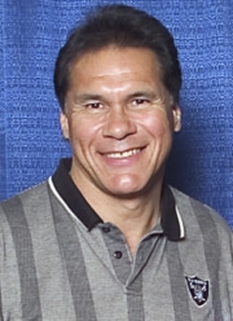 He was voted to the Pro Bowl nine times, in 1988 and 1991 as a kick returner, and in 1993-97, 1999 and 2001 as a receiver. 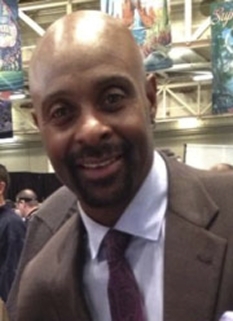 In 2001, Brown would later play alongside another well-known wide receiver, Jerry Rice. In 2002 he passed Gene Upshaw to become the Raiders' all-time leader in games played with 224. He also set Raiders franchise records for receptions, receiving yards, and punt return yards. 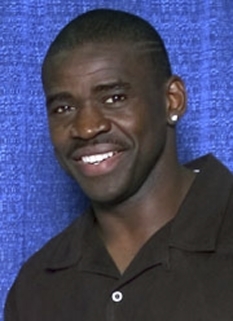 Brown was released by the Raiders before the 2004 season, as he did not want to accept a smaller role in the offense. He was signed shortly thereafter by the Buccaneers (coached by former Raider head coach Jon Gruden). The move was mildly controversial. 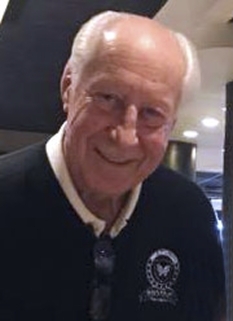 Brown had always been a fan favorite in the Oakland area and was much admired by many current and former Raiders players and staff over the 15 years he spent with the Raider organization. However, Brown's declining performance in recent years may have contributed to the decision to release him. He was the last of the Los Angeles Raiders to remain with Oakland. On September 27, 2004, in his first game at Oakland since being signed by Tampa Bay, Brown reached 100 career receiving touchdowns, tying him with Steve Largent for 3rd on the NFL's all-time career receiving touchdown list behind former teammate Jerry Rice and Cris Carter. In 2005, Brown signed a one-day contract with the Raiders to retire with the team he had played 16 seasons for. The July 18 news conference was attended by two Raiders' officials, and only one active Raider, wide receiver Jerry Porter. Brown retired with 14,934 receiving yards, the second-highest total in NFL history, 1,094 receptions (3rd), and 100 touchdown catches (3rd-Tied). Brown also gained 190 rushing yards, 3,320 punt-return yards, 3 fumble-return yards, and 1,235 yards returning kickoffs. This gave him a total of 19,682 combined net yards, ranking him #5 among the NFL's all-time leaders in that category at the time of his retirement. He also scored 105 total touchdowns 100 receiving, 1 rushing, 3 punt returns, 1 kickoff return. Tim Brown is currently starting a NASCAR racing team as part of their Drive for Diversity program. He is recruiting African American sponsors to fund the venture, and has worked out a technical alliance with Roush Fenway Racing, who will provide support to the upstart team. Brown hopes to eventually find a black, Hispanic, or woman driver to be the star of his team in order to bring an element of diversity to what is a white-dominated sport. He now lives in DeSoto, Texas. DISCLAIMER: PFP Sports Talent Agency does not claim to represent itself as the exclusive agent for Tim Brown. PFP Sports Talent Agency is a booking agency that represents organizations seeking to hire pro athletes and sports personalities such as Tim Brown for speaking engagements, personal appearances, product endorsements and corporate entertainment. Fees on this website are estimates and are intended only as a guideline. Exact fees are determined by a number of factors, including the location of event, the talent’s schedule, requested duties and supply and demand. PFP Sports Talent Agency makes no guarantees to the accuracy of information found on this website and does not warrant that any information or representations contained on this website will be accurate or free from errors. We are often asked how can I find out who is Tim Brown's agent? To find Tim Brown appearance fees and booking agent details, you can contact the agent, representative or manager through PFP Sports Talent Agency for speaking fee costs and availability. PFP Sports Talent Agency can help your company choose the ideal sports personality for your next marketing campaign. 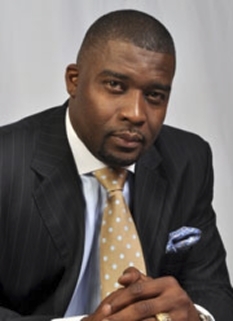 To hire Tim Brown for an appearance, speaking event or endorsement, contact Tim Brown's booking agent for more information.